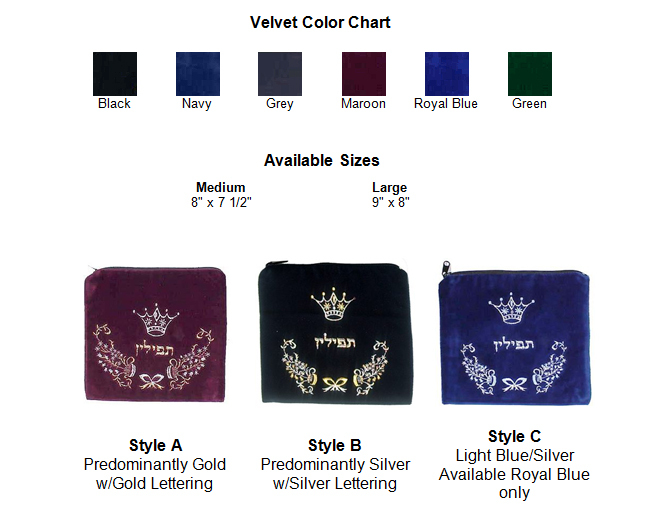 Tefillin Bag #115: SeferTorah.Net in San Diego, CA sells Sifrei Torah, Tefillin, Mezuzot, Silver Kiddush Cups and Fine Art Judaica. NOTE: Personalization available for $.80 per letter. Please call (619) 583-5564 for more details.